Shown here holding an 80mm Clear Crystal Ball (sold separately), this stand is perfect for a desk. We make it by hand from lead-free pewter with all the detail you expect from us. 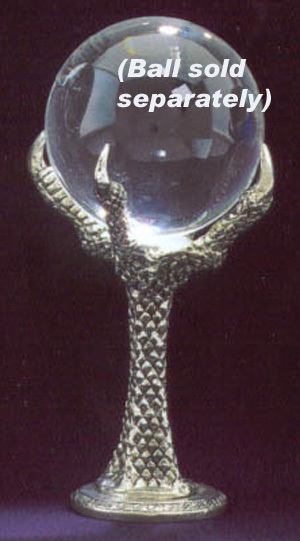 It is a little shorter than our Claw Pewter Stand #W045 which is made for larger crystal balls.